← Would you read this book? oh, where are my socks? Charlie, Xander, and Freddie. I miss these boys! 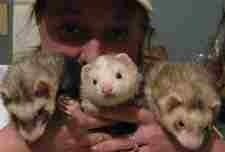 This entry was posted in ferrets, Haiku, poetry, writing and tagged ferrets, writing. Bookmark the permalink.